Successfully Added Digital Storage Device - 2.5 Inch IDE HD Enclosure to your Shopping Cart. 2.5 Inch Hard Disk Enclosure, taking HDs of up to 160GBs, for storing all of your important files and data. With the vast memory potential this very portable enclosure can provide, copying all of your files while on the move is easy and convenient. 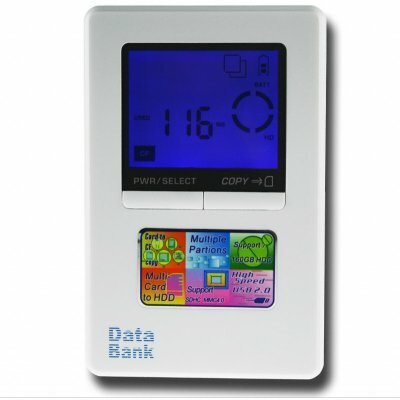 It features multi-card compatibility for easy transfer of files, a LCD with a bright backlight, USB 2.0 for fast connection speed, and can even be partitioned into many segments of up to 30GBs. This handy and portable Hard Disk Enclosure is available with no MOQ for single samples, or also in larger bulk orders for even greater wholesale bulk discounts.